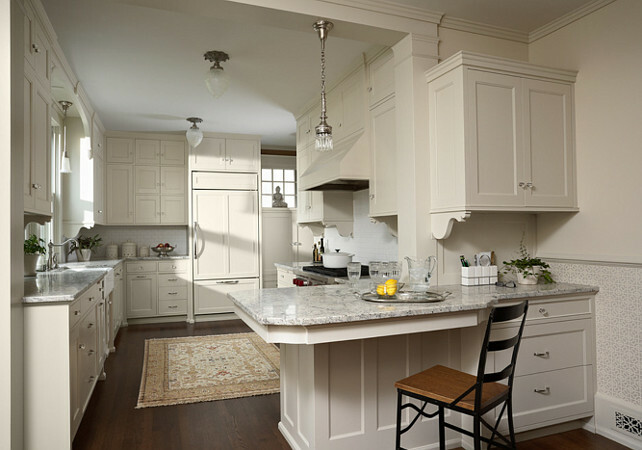 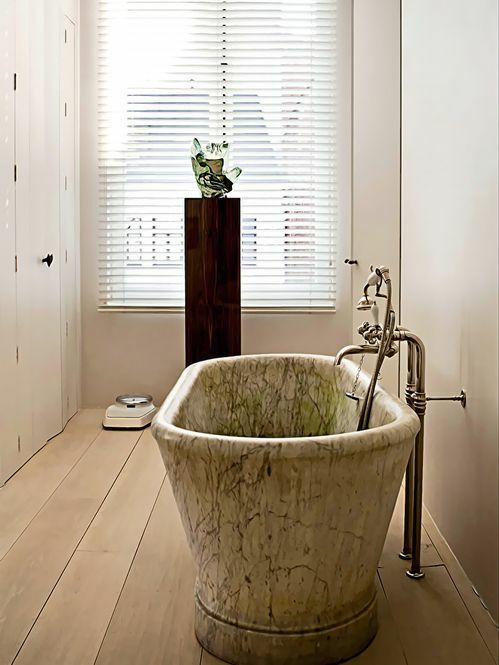 I'm always impressed with how much sophistication marble finishes bring to interior design. 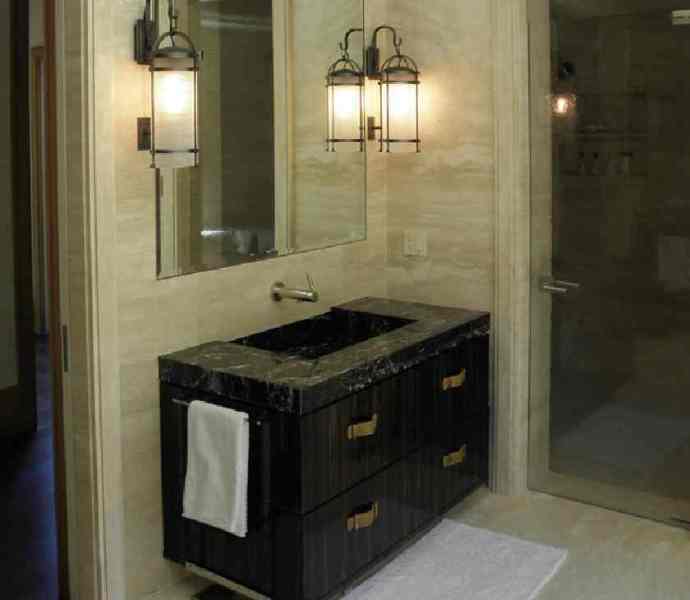 From historic times the glossy stone has been used in architecture to create a lavish high class decor. 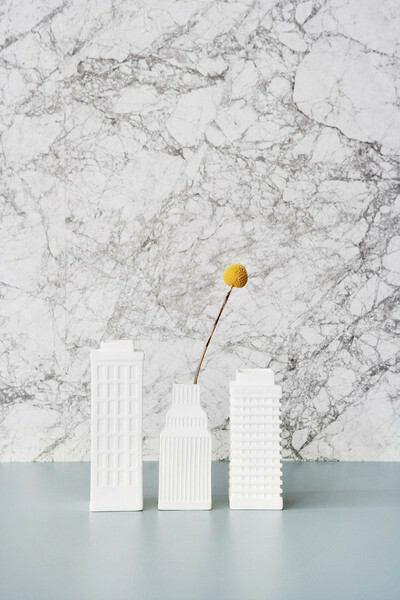 Cultural emblems such as the Greek Parthenon Temple, England's Salisbury Cathedral or the Palace of Versailles in France are existing testimonies of the majestic character conveyed by refined marble. 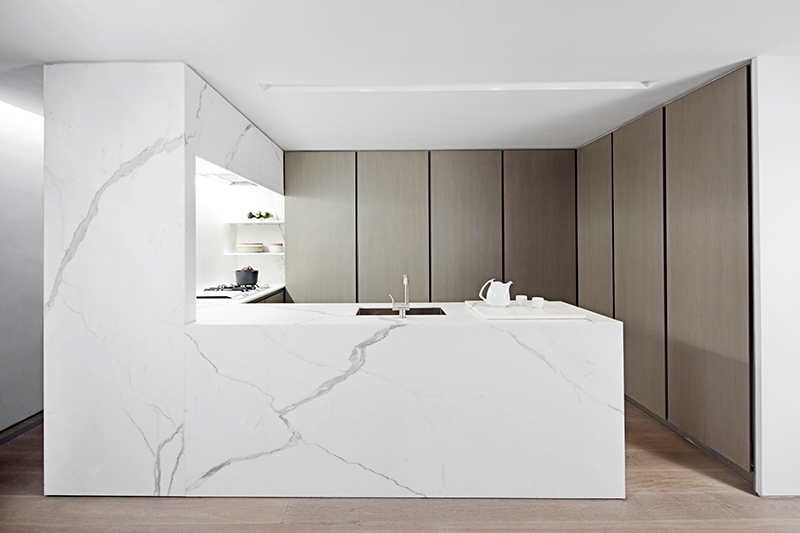 Contemporary designers and architects have rediscovered the beauty of this stone, using it today in modern interiors. 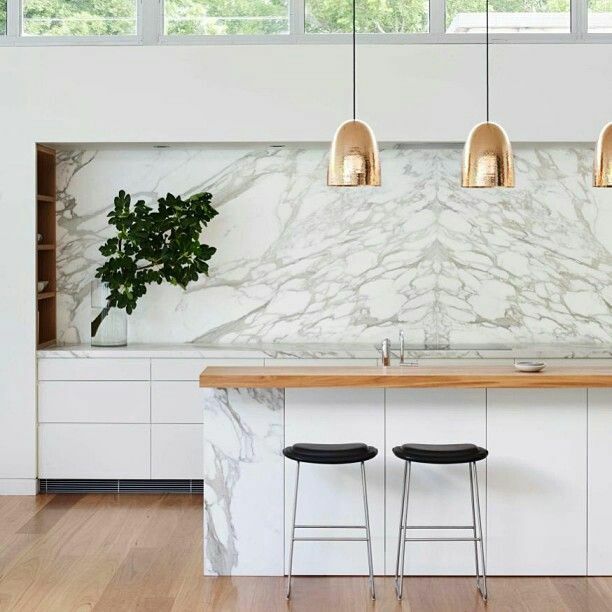 Recreating Art Deco style luxurious foyers, lounge rooms or bathrooms or furnishing minimalist kitchens, marble interior decors align with the contemporary design trends of returning to classical values and natural materials. 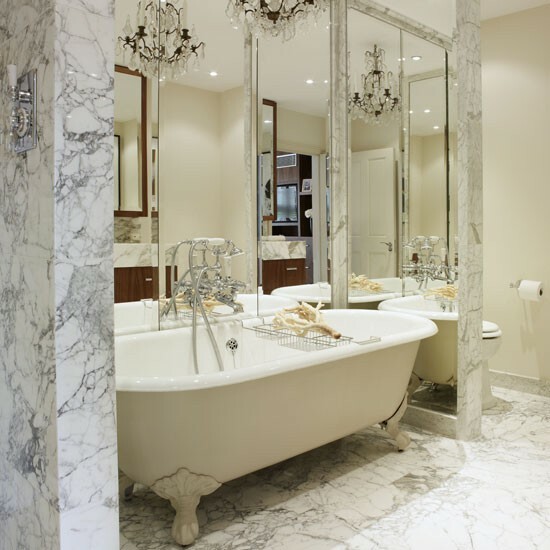 There are several ongoing decorating trends with marble and a prime one is the use of luxurious and rare Calacatta stone with is dramatic veining pattern for stunning spa-bathrooms decor. 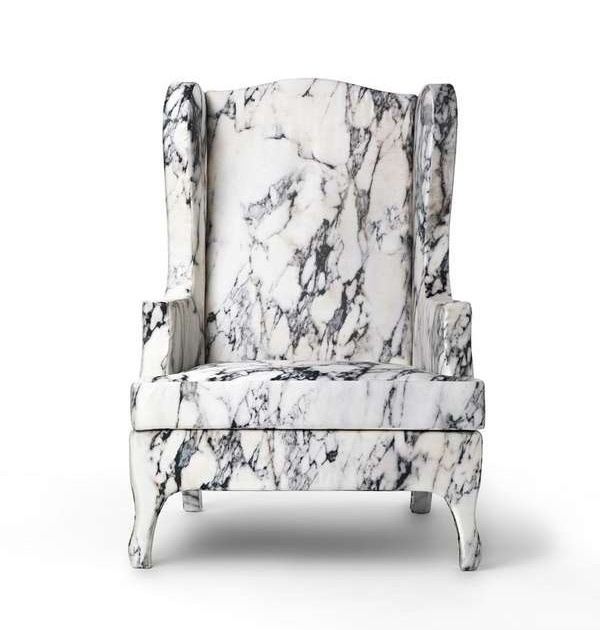 Product designers also choose Calacatta marble-like prints on fabrics and paper to give a monumental look to walls and tapestry chairs, a great example is "Louis XV goes to Sparta" silk chair collection by designers Maurizio Galante and Tal Lancman for Cerruti Baleri. 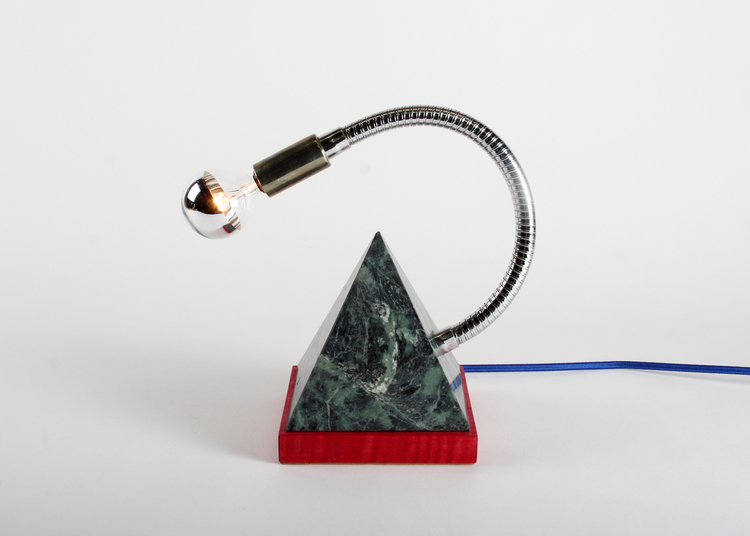 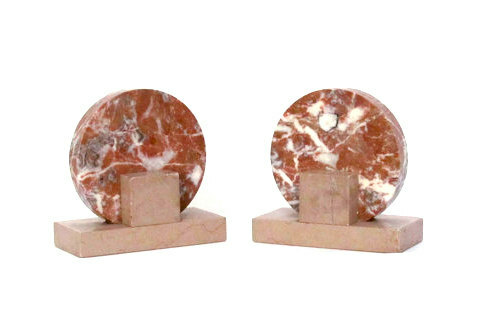 Marble stone is also used in designing modern, minimalist functional objects such as the Memphis table lamps by Damm Design. 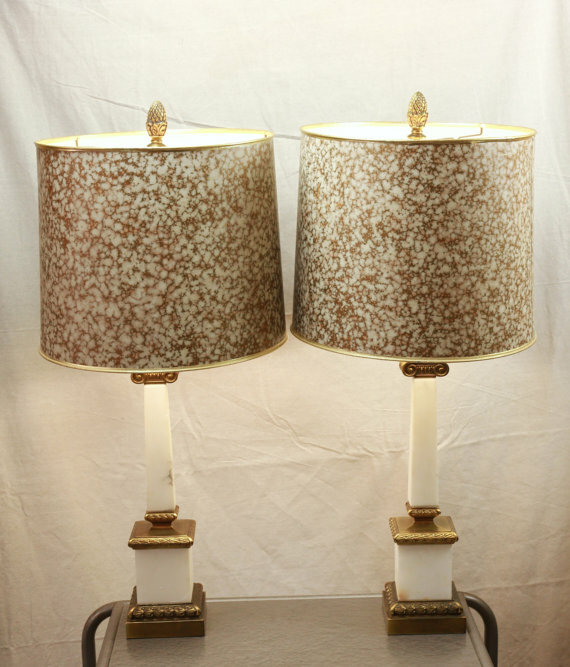 If you want to decorate your home with elegant marble accents you can also choose gorgeous vintage items on Etsy and other antique selling shops.